We couldn’t have Weekend Update on “SNL” this week without the show dealing with one of the bigger stories in Hollywood: Mark Wahlberg earning $1.5 million for “All the Money in the World” reshoots in which Kevin Spacey was replaced by Christopher Plummer, while the film’s leading actress, Michelle Williams, received only a small per diem. To talk about it, regular “SNL” cast member Aidy Bryant joined Weekend Update co-host Colin Jost to deliver a very polite yet also very scathing commentary. Bryant went on to take aim at Wahlberg specifically. 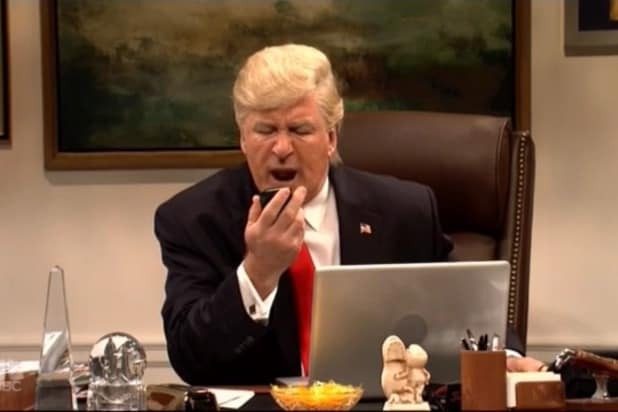 It was an eventful evening on “SNL” this week, with Bill Murray popping in to play Steve Bannon in the cold open and host Sam Rockwell dropping an f-bomb in his very first sketch.